E.VILA PROJECTS is formed by a multidisciplinary team of successful professionals covering the fields of engineering, infrared energy, ultraviolet energy, industrial quartz and UV LED. Which aims at improve industrial processes that require infrared or ultraviolet technology and quartz pieces for both new solutions and replacement of infrared lamps, ultraviolet lamps or quartz pieces, offering our customers an improvement in process, quality and economy. E.VILA PROJECTS offers infrared, ultraviolet and LED curing, disinfection, laboratory and quartz solutions to sectors as diverse as aeronautics, graphic industry, automobile, wood sector, plastics, labeling, hospital, glass, among many others. The company E. VILA PROJECTS & SUPPLIES SL was created in 2008 although all its members have a long career in large corporations and extensive technical and business knowledge. – 2008. Incorporation of the company E. VILA PROJECTS & SUPPLIES S.L. – 2009. Obtaining and registering the E. VILA PROJECTS brand that identifies the projects and spare parts. – 2015. E. Vila Projects has fulfilled more than 2000 tailor-made projects with equipment of infrared and ultraviolet emitters, becoming the technological partner in the main sectors of activity. – 2016. 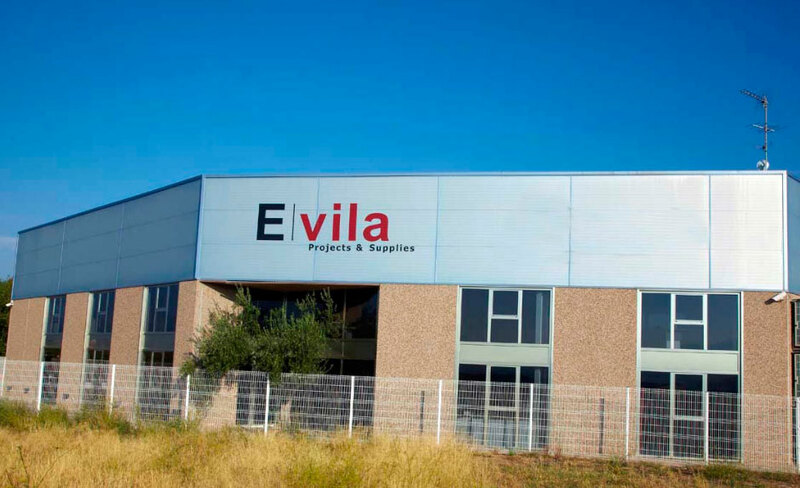 Transfer of the E. VILA PROJECTS headquarters to the current facilities with greater capacity and testing laboratory. – 2017. E. Vila Projects continues its expansion and international plan improving processes and energy efficiency with infrared emitters, ultraviolet lamps and quartz material, making our customers even more competitive companies. -2018- Opening of society EVP AMERICA, S. DE R.L. DE C.V. in Mexico.